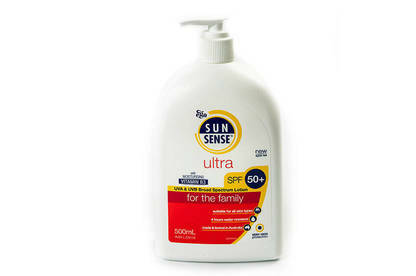 Two tests of SunSense Ultra SPF50+ found the sunscreen fails to provide the protection claimed. Sunscreens carrying an SPF50+ claim should provide very high sun protection. However, our tests of 2 batches of this product found it only provided moderate protection (defined as an SPF rating between 15 and 29). Out of 20 sunscreens we’ve tested this year, this is the 9th product that hasn’t met its SPF label claim. In response to our findings, SunSense provided results of its own tests carried out in 2016. The company said the tests, from US company AMA Laboratories, showed the product met its SPF50+ claim. We believe the company should urgently retest this product. The results reinforce the need for a mandatory sunscreen standard and requirements for companies to regularly test their products.